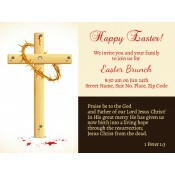 Are you looking for an effective Easter promotional tool? 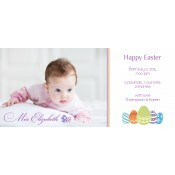 Grab any of these Easter announcement magnets to fuel your promotions. 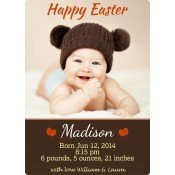 Largely inspired by the religious Easter themes, these promotional magnets are perfect for expressing your joy in the season, sending invites for a baby shower or Easter parties. 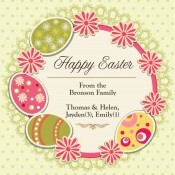 Offered in various sizes, shapes and design, these customized seasonal magnets are going add festive fervor to your Easter promotions. Avail free shipping anywhere within the Contiguous USA. 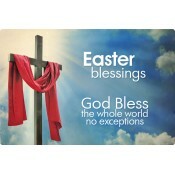 Easter, also known as Resurrection Sunday, celebrates the Resurrection of Jesus Christ from the dead and it is the culmination of a 40-day period of penance, prayer, and fasting observed by Christians. 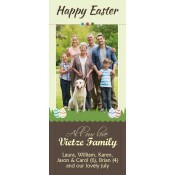 Perhaps you are looking forward to a new beginning for your business and brand, so why don’t you try any of these Easter Announcement Refrigerator Magnets! Over the years, marketers have relied on various traditional promotional strategies to push their sales. They have largely harped on the popular Easter symbols such as the Easter bunny, colored /chocolate eggs, and spring flowers. 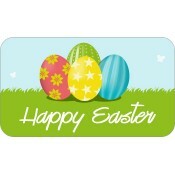 However, these traditional symbols are always crowd-pullers, but they do no good for the brand or business post-Easter. This is why marketers are now veering towards sensible advertising by sending promotional magnetic celebration mailers or typical celebration themed magnets. People who receive full-color festive spirit customized magnets are going to retain them over their refrigerator doors or other visual ferrous surfaces. They are going to remember the goodwill gesture of the marketer who took time to acknowledge them and wish them on the holy occasion of Easter. People are always going to perceive this gesture with high respect and won’t mind discussing efforts of the brand. 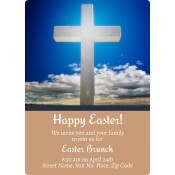 Customized Easter announcement magnets are perfect for small budget marketers, big brands, churches, prayer groups and others trying to build awareness around their business. They can use any of these personalized magnets for holiday mailing or seek it for individual or complimentary gifting with Easter purchases. We offer exciting and special festive discounts on wholesale orders of seasonal greeting magnets. We offer free art set up, free full color printing, free shipping, and free online design proof with all promotional magnets. Additionally, we offer total artwork assistance from scratch at no additional costs. No hidden fees. To know more about shipping, customization, pricing, distribution or promotional relevance of these customized holiday announcement magnets, feel free to contact us at 855-762-4638 or write to us at info@cmagnets.com.